As many of you will know since November we’ve been running a long term project called Beehive Place near Brixton Market. We’re extremely pleased to say that every date has been sold out, and we’ve now extended the run there twice. We’re currently looking at how we might be able to offer more events the Summer to watch this space. 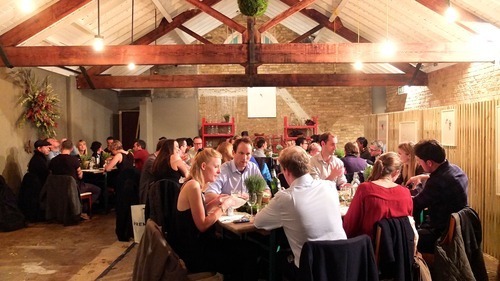 It’s been great fun operating in such a lovely space and being part of such a vibrant community in Brixton. 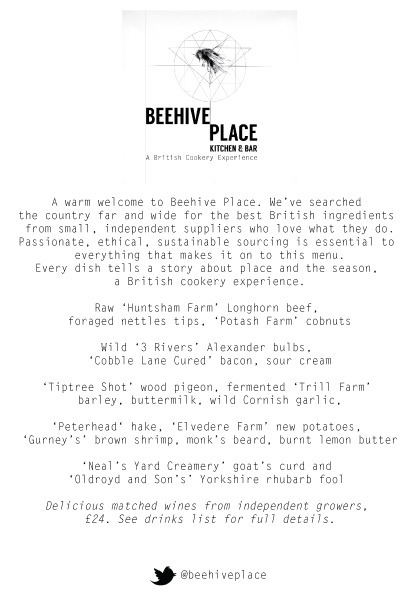 The network of suppliers we’ve build for Beehive is really exciting, building on the great contacts we have already with CM we now have one of the best sets of UK producers out there, every single ingredient is exceptional with a great story to tell. The bar has also been a huge success, with the team headed up by Jeff and Kev creating a constantly evolving set of British cocktails you won’t find anywhere else. If you haven’t joined us yet, we’d love to see you!